Companies often consist of different types of people. Some people have tried most activities before, while others haven’t done anything much. Here is one suggestion for a set-up we have done for many companies successfully. You stay with us in single or double bedrooms with a bathroom. On the first day we take you on a discovery tour in the Veo-canyon in Sjodalen, where we have a day of “Play & Fun”. In the afternoon there is time for business matters if need be. In the evening we serve a 3-course dinner in the Peiestua, built in 1747, or a menu in the BBQ House. 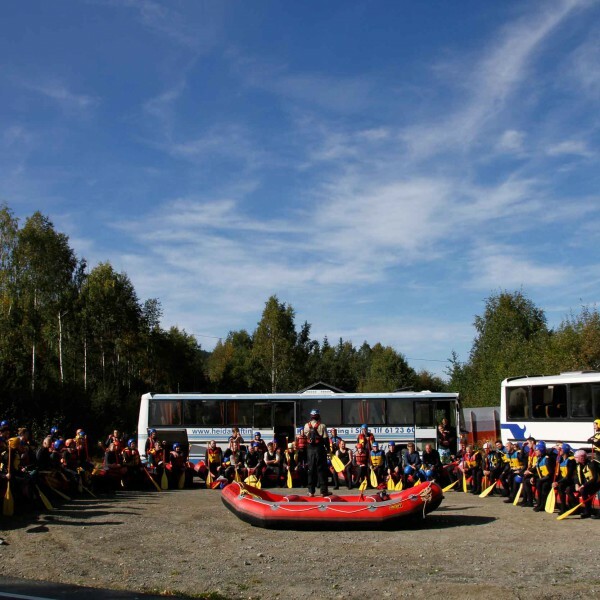 On the second day, we take you on a rafting day trip through Heidal, namely the tour that has made rafting known and popular in Norway. Price/person from kr 3410,- incl. 2 nights, 2 breakfasts, 2 lunches and a 3-course dinner. Please take a look at our suggestions below.